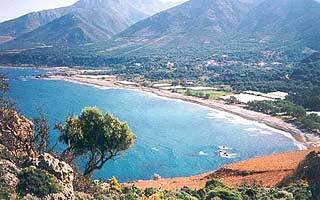 Sfinari is located in olive groves about one km from the sea on the west coast of Crete. 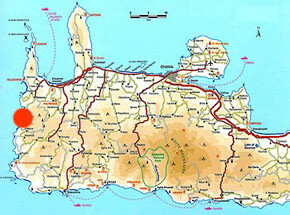 It is still a remote village and you won't encounter many tourists. Sfinari is quite far from anywhere and although there is a public bus twice a day from Kissamos it is best to have your own car. Very Cretan and very quiet. It feels a little like you are at the end of the world. You can find some rooms in the village. A few tavernas in the village and by the beach. A few small shops providing for basic needs. A pebble beach with tamarisk trees. Camping is allowed on the beach. Sfinari can get pretty windy.